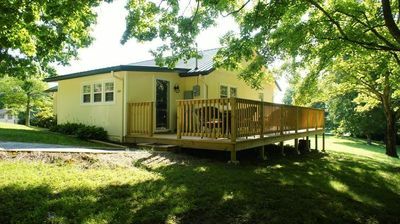 Welcome to A Starry Starry Nite cabin and thank you for stopping by!! 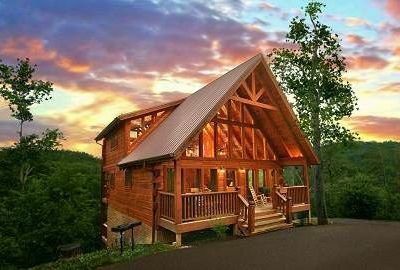 A Starry Starry Nite is a prime spot for family vacations. 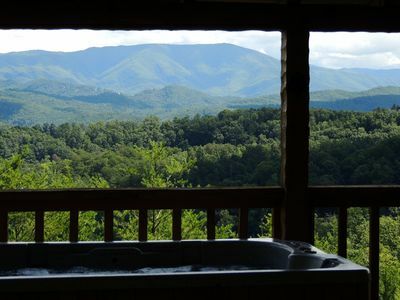 The panoramic mountain views of Mount LeConte are exceptional! 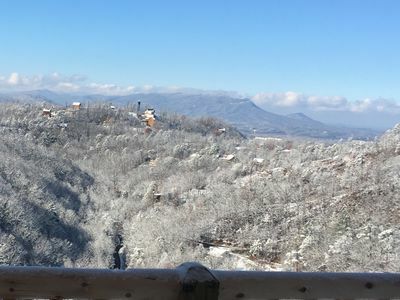 The mountain climate produces mild temperatures in spring and summer. Fall follows with a spectacular display of Mother Nature’s colorful artistry, as the autumn leaves turn brilliant hues of orange, yellow, crimson, and gold. Winter has its own allure, providing visitors with a secluded winter wonderland. 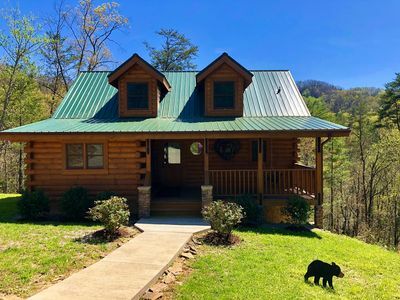 A Starry Starry Nite is a 2 bedroom, 2 bathroom cabin with additional loft nestled in the heart of the gorgeous Smoky Mountains. 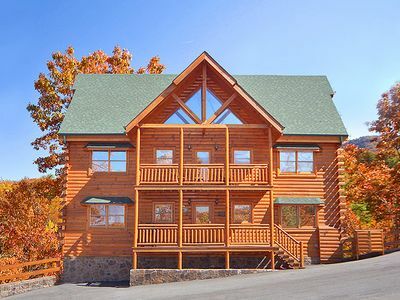 The cabin is located in Legacy Resort. 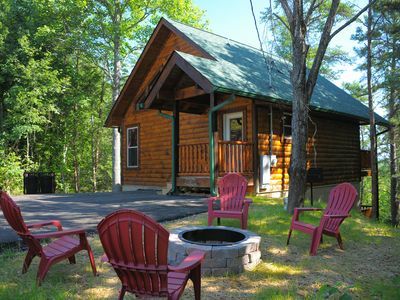 When you stay at this resort in A Starry Starry Nite cabin, you will have access to communal amenities located at the top of the mountain. These amenities at the clubhouse include a swimming pool, fitness center, sauna, steam room, and pavilion with fireplace for outdoor gatherings. 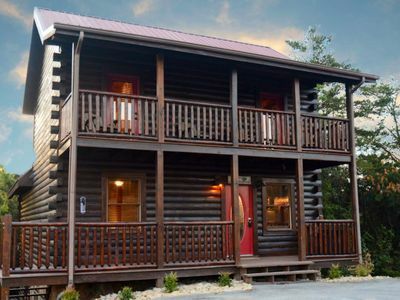 With 3 levels in the cabin, you and your guests will have spacious and comfortable accommodations during your stay. 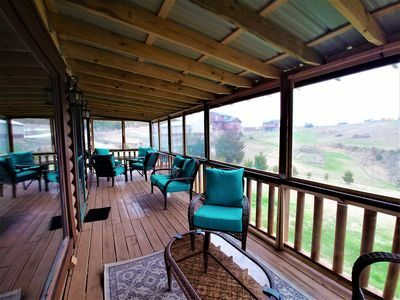 The floor to ceiling glass windows on the main level allows enjoyment of the mountain scenery while relaxing inside. 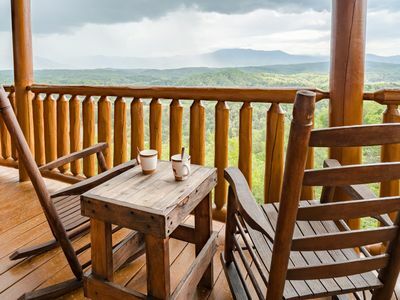 The deck on the lower level features wooden rocking chairs, a hot tub, and mountain views that will provide a peaceful serenity like none other. 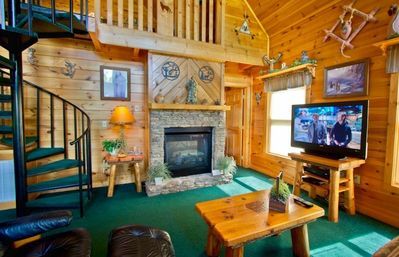 On the main level, the cabin is also equipped with a 55 inch big screen television and smart Blu-ray player for those who like Netflix and other TV apps. The game room on the lower level will provide a space for lots of fun and friendly games! 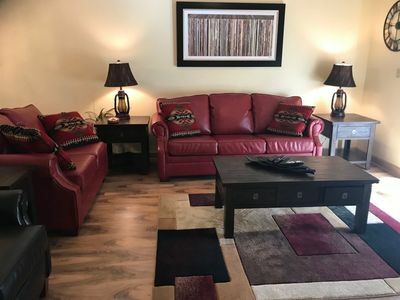 This room includes a flat screen television, a pool table, and Foosball table! The game room is also equipped with many board games and playing cards. 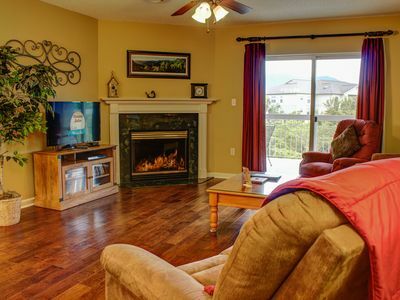 A Starry Starry Nite is fully furnished to accommodate your large family gatherings! In each of the bedrooms, there is a king size bed and attached master bathroom. The loft also has 2 queen size beds for extra sleeping accommodations! There is an air hockey table located in the loft as well. 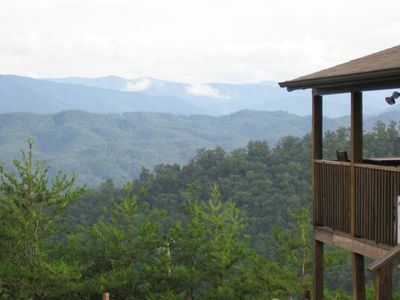 Each bedroom is complete with luxurious linens and mountain décor, providing comfort for up to 8 guests. 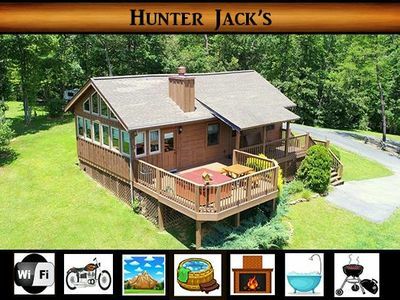 Wi-Fi and cable television are available in all bedrooms, living area, and game room. 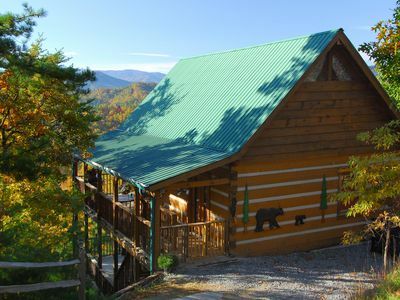 The Great Smoky Mountains area has a lot to offer families who want to make exceptional memories. Entertainment enthusiasts will enjoy The Dixie Stampede, The Hatfield and McCoy Dinner Show, and The Murder Mystery Dinner Show. Numerous activities for the children are available, such as, Dollywood amusement park, Ripley’s Believe It or Not Aquarium, The Island, etc. 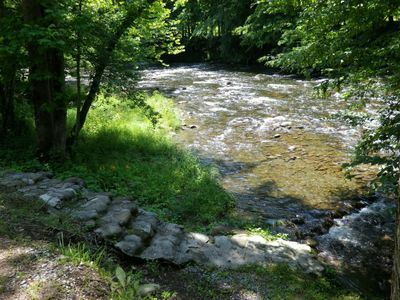 The adventurer will find endless opportunities for hiking/biking trails, white water rafting, horseback riding, waterfalls, off-roading scenic tours, zip lining, snow-ski adventures, and many more! 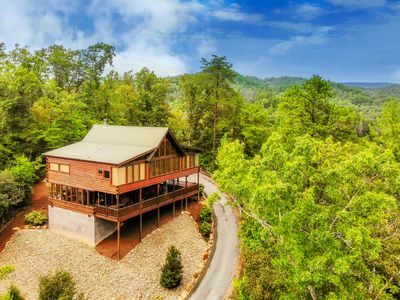 The great location of this cabin offers “Zip Lines Tours” at the bottom of the mountain. 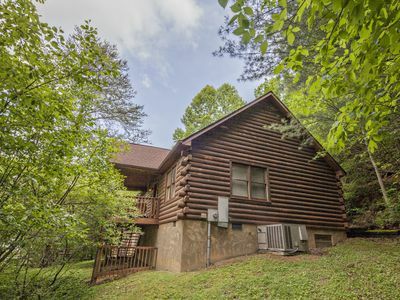 You will love your stay at this exceptional cabin! We are committed to making your vacation relaxing and wonderful. Thanks again for your interest in A Starry Starry Nite! Call or email today to make your reservations! 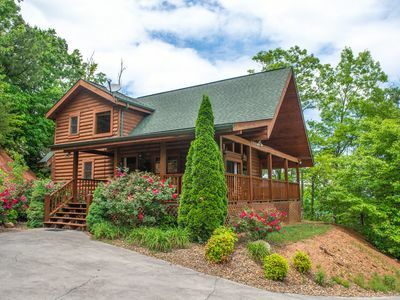 Located on a mountain stream with a great view of the river. You are only 29 feet off the water. 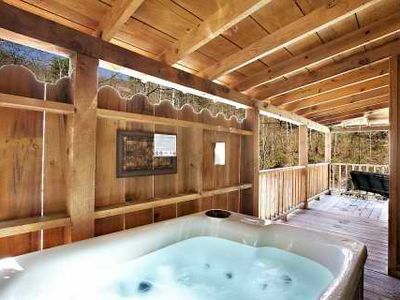 Isolated cabin w/ private hot tub, balcony, breathtaking smokey mountain views!